The idea of adding a yoghurt cup and a fruit to make it a balanced meal —like all other basic notions about health and nutrition actually— never came to mind. As a result, I was famished all the time. I would eat my less-than-300-calories entrée for supper, then dive face first into the fridge before going to bed. Self-discipline’s so overrated when you’re a teen. 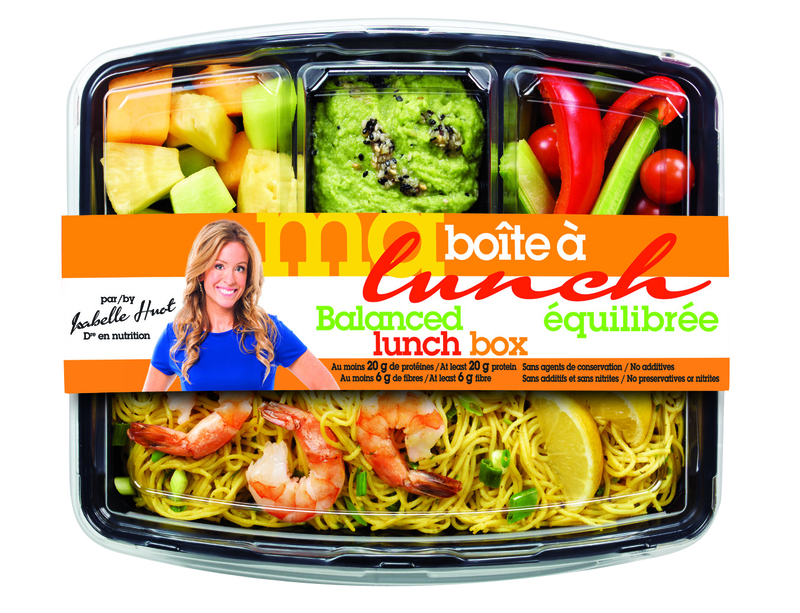 Fast forward to 2015 and the brand new Kilo Solution entrées launched this week, plus the Isabelle Huot Balanced Lunch Boxes introduced last fall. When I received the press release and one of the lunch boxes at home, a PR initiative aimed at Véro Magazine and not this blog, I thought to myself: Right, 2015’s version of a Québécois Stouffer’s. I wasn’t far off. The packaging, the serving size, the calories, it all resembles those lean meals from my teenage years. I confess, I was biased and ready to diss. But, lo and behold, they’re actually good. Okay, when I opened the curried shrimp and vermicelli lunchbox, there was no doubt in my mind I was about to die from hunger. Don’t let the beauty shot above mislead you, it’s pure advertising deceit: in reality, the pasta barely covers the bottom of the package. You sure won’t have to unbutton your 501s when you leave the table, but with sides of edamame dip (so good I want the recipe! ), the crudités and fruit, you’ll feel fairly satisfied. It’s worth noting that the lunchboxes, developed by nutritionist Huot, provide at least 20 g of protein and 6 g of fibre, with no nitrates, preservatives or additives. The Verdict: Against my will so to speak, I liked the food. For a quick lunch at the office, if you overdid it the night before, had no time to prepare lunch or just want to eat more lightly, they’re a nifty choice. 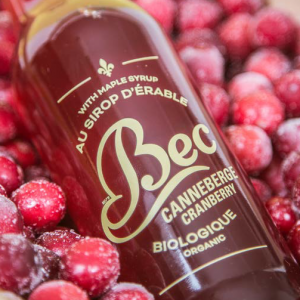 Good-tasting, fresh —as opposed to frozen Stouffer type entrées— and, not negligible, Québec-made. My waistline says thank you. 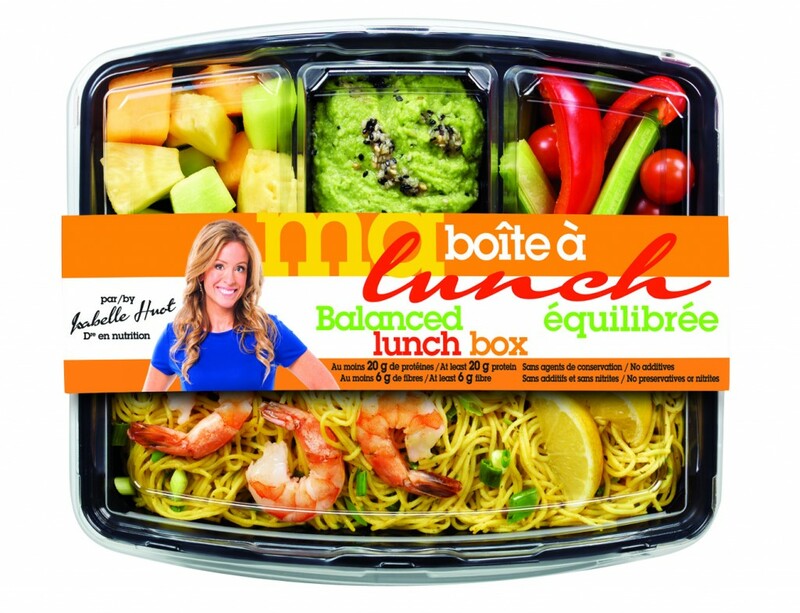 Isabelle Huot Lunch Boxes: Choice of 2 meals, $7.99. Exclusively at IGA. Kilo Solution Fresh Entrées: Choice of 6 meals and soups, various prices. 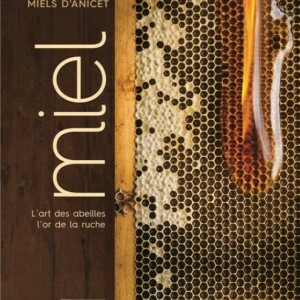 At IGA and Métro. * Disclosure: Sobeys is a client. Some product samples were received, others were paid by me. I was not financially compensated for this post and opinions expressed are my own.